I recently picked up an issue of TIME and saw a small article about snowboarding at the Winter Olympics. It really irked me to see the silver and bronze medalists in men’s halfpipe identifed as “two Japanese snowboarders”. NPR had done the same thing when announcing results, and while more people are becoming familiar with Ayumu Hirano and Taku Hiraoka, I thought I would help ensure that their names will be remembered. Ayumu Hirano’s young age, small stature, and high-flying style has drawn comparisons to Shaun White, but he is quickly making a name for himself. He began snowboarding at the age of 4 after mastering surf and skate (the latter of which would play a role in shaping his halfpipe style). Two years later, he started entering contests. His first major win came at the 2011 Burton US Junior Open, where he was too young to compete in the open division but good enough according to those who saw him take runs for fun. In the 2012/2013 season, he became the youngest Halfpipe World Champion. 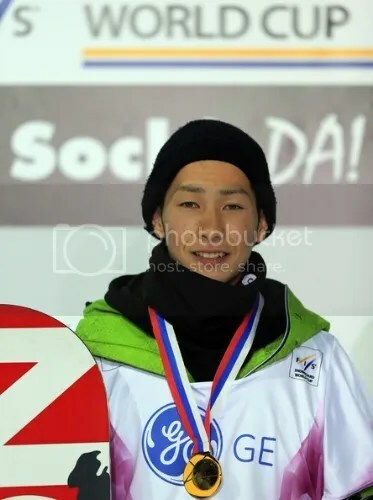 Ayumu was also the youngest X Games medalist until Chloe Kim came along this year. 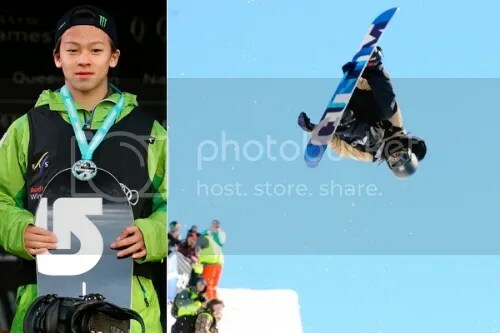 Trained by some big names in snowboarding (Kazuhiro Kokubo, Ben Boyd, and Elijah Teter), he continues to generate buzz from international media outlets and praise from his top competitors. Taku Hiraoka started skiing at the age of 3 before making the switch to snowboarding. He studied trampolining and played basketball in school. This athletic background, along with his surfing hobby, has contributed to his prowess on the halfpipe, notably his high amplitude. Unlike his teammate, Taku doesn’t really have a coach; instead he learns from snowboarding videos. He won one of his first contests in the second grade, beating out older competitors, and made a steady climb upward to win the FIS Junior World Championships twice. Then in the 2011/2012 season, he ranked fifth in the halfpipe division of the World Snowboard Tour, where he currently sits in second. The Sochi halfpipe seemed to be a good place for him, as it was also the location for his World Cup victory a year before the Olympics. May is Asian-Pacific American Heritage Month, and I’ve decided to pay tribute by counting down my top Japanese-American celebrities. To narrow down the list, I focused only on those born and famous in the U.S. (Nisei and onward). While there’s fantastic Japanese-Americans in every aspect of life, I stuck to just sports, TV, film, or music. Even then it was still hard to choose eight (with four bonus figures). You know him best as the electronics expert on MythBusters, but Grant Imahara is also a BattleBots competitor and the guy who gave R2D2 an upgrade for the Star Wars prequels. As his photoshoot with Clockwork Couture exemplifies, he makes being a nerdy Asian guy really cool. James Iha first gained notoriety as The Smashing Pumpkins’ co-founder and guitarist. He then went onto play for A Perfect Circle. He has produced for both American and Japanese artists, released two solo albums, and even created a fashion line. The lone female in the legendary Zephyr skateboarding team, Peggy Oki blazed the trail for both women in action sports just by doing what she loved. In addition to catching concrete and ocean waves, she now creates artwork that raises awareness on environmental issues. In 1947, Wataru “Kilo Wat” Misaka became the first non-white player in the NBA after getting drafted by the New York Knicks. Even though he only played three games and chose engineering over playing for the Harlem Globetrotters, he made his mark in sports history. Model/actress Candace Kita made her TV debut in the first attempt bringing Kamen Rider to the U.S., Masked Rider. She has had recurring roles in several shows and penned The Hottie Handbook: A Girl’s Guide to Safety. She is an advocate for anti-harassment laws and has rallied fellow celebrities for various charity events. Beloved by many as Mr. Miyagi in The Karate Kid movies, Pat Morita faced a rough childhood of internment and spinal tuberculosis. He began his entertainment career in stand-up comedy before starring in M*A*S*H* and Happy Days. He also voiced characters in Mulan and Sponge Bob Squarepants. I know I wasn’t the only little Asian girl who idolized Kristi Yamaguchi after seeing her take the 1992 Olympic women’s figure skating gold. She was the first Asian-American woman to do so, and since then, she has created the Always Dream Foundation, written children’s books, commentated for NBC, and won Dancing with the Stars. Who doesn’t like George Takei? He has paved way for future Asian-American actors in sci-fi as Hikaru Sulu in Star Trek. He’s a gay rights activist, an advocate for Japanese-America relations, and the source for many amusing facebook posts and videos. More recently he starred in Allegiance, a musical inspired by his experiences in an internment camp. Something you might not know about this reality TV show judge is that she found minor fame as a singer in Japan. After returning to the Stages, Carrie Ann Inaba became a Fly Girl. She has made cameos in several films and choreographed the Miss America Pageant. I didn’t mean to have this many Dancing with the Stars references here, but I had to include the most decorated Winter Olympics athlete in America. When he’s not speed skating or making TV appearances, he’s involved in various philanthropic efforts, including Nikkei Concerns which provides care of Japanese elderly living in the Pacific Northwest. Amidst all the Today Show drama, let’s take the time to recognize Ann Curry for the outstanding journalism she has done. Not only did she find my friend and missing JET Canon after the 2011 tsunami, she has won three Emmys for her reporting, including her story on Darfur. Musician, producer, artist, and philanthropist are only some of the titles Mike Shinoda holds. He has shown art at the Japanese American National Museum, designed shoes for DC, and written for The Big Issue. Both his music and charity work reflect his pride in his Japanese heritage, and he was one of the first celebrities to create item to raise money for tsunami relief. A couple days ago, freestyle motocross rider Eigo Sato died in a training accident. As a long-time fan of the sport, I was devastated by the news. Sato was the first Asian rider I knew of, and throughout the years, he’s not only helped FMX but the people hit by the 2011 Tohoku Earthquake. I wanted to pay tribute to him by highlighting his many accomplishments in this profile. 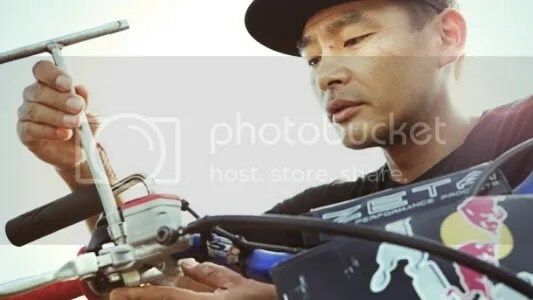 Eigo Sato first made a name for himself representing Team Asia at the X Games Global Championships in 2003. A couple months later, he became the first Japanese rider to do a back flip. He would continue to be a pioneer, helping fellow Japanese riders get noticed overseas while promoting his sport at home. The Team Virus rider began competing in the Red Bull X-Fighters series in 2006. Three years later, he was the runner-up in the Mexico City and Calgary stops. Those finishes helped him obtain a third place overall ranking. Sato was known for his creative runs and kind personality. He had been training for the upcoming X-Fighters tour, and despite being the oldest rider, he didn’t seem to be slowing down. Although no official word has been said about what happened, one of his fellow riders mentioned that he under-rotated a back flip, and Red Bull stated that he had been transported to a hospital. 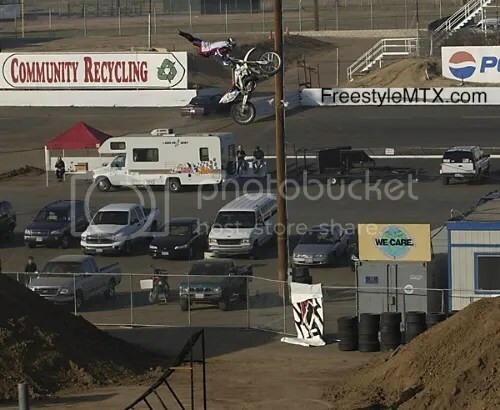 He is survived by his wife and son, as well as many freestyle motocross riders (from Japan and elsewhere) who look up to him. Gymnast Kohei Uchimura is probably the most recognizable Japanese athlete at the 2012 Olympic Games, and he is the one Japan is counting on to bring home many medals. However, a less well-known competitor—an Olympic rookie—gave the country its first gold: 57kg division judoka Kaori Matsumoto. I didn’t know much about her (or judo) so I decided to look up some information and share it. Kaori Matsumoto started judo at the age of six because her brother and her sister were doing it as well. Her first major victory came in 2005 at the EJU A-Tournament Under-20 competition in Berlin. In 2008, she won the Asian Judo Championships. Since then, she’s consistently had podium finishes (with only one fifth place in the 2009 World Championships). She has won the Asian Games, the World Championships, and the All-Japan Judo Championships. At the Olympics, Matsumoto took the gold when her opponent, Corina Caprioriu of Romania, was disqualified for an illegal move. It was a huge triumph for the Japanese team, which hadn’t been meeting its high expectations in previous judo matches. The London Olympics was her last match. The Teikyo University student plans on becoming a judo coach or a pastry chef.